Stansbury sits on the pristine waters of Oyster Bay in Gulf St Vincent, located on the Yorke Peninsula, a little over two hours drive from Adelaide. With beautiful sandy beaches, new playground and plenty of barbeque areas, Hotel, cafe, post office, hairdresser, butcher, chemist, petrol station, IGA, museum, information centre, golf course and tennis it is the perfect destination for a family holiday. Only a short walk from the Villas will find you on the beach, jetty, boat ramp or main street of Stansbury. It is a great base to explore the lovely coast and country towns of Southern YP and the rugged Innes National Park with its surf beaches, cliffs and many shipwrecks. A short drive from Stansbury will get you to Edithburgh, Yorketown and Port Vincent. Relax in the comfort of 1 of our 4 fully self contained holiday units, great for the weekend away or a group holiday while having your own privacy in your own unit. Each unit has 2 bed rooms with a double bed in one room and a single bed and a set of bunk beds in the other room. pillows, quilts and blankets are provided, you will need to bring your own linen. Linen can be supplied at an additional cost. There is under cover parking, shared Laundry, under cover BBQ area and a shaded fish cleaning area. This is just a single bed room villa which was not mention in advertisement . Bed and linen very old but in compare with the price is reasonable . But becareful its just one bed room villa unit . Overall happy ........but did not expect only one bed room . Enjoyable and convenient for our needs. Convenient location, could do with an upgrade and a better standard of presentation to make it excellent. 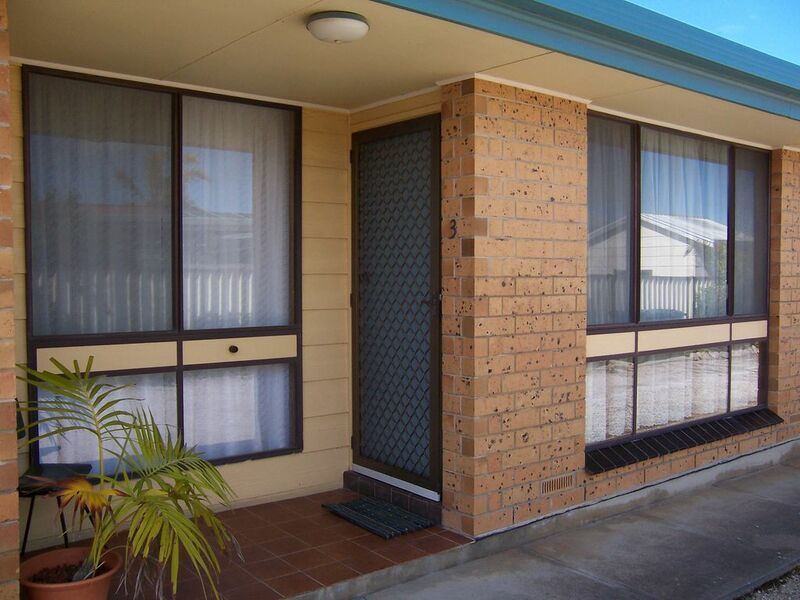 Well Presented, comfortable unit with everything we needed!! My family and I were very impressed with the presentation of the unit and the pricing. The unit had everything we needed to enjoy our stay. As both visitors and as a property manager by profession I was impressed with the cleanliness of the property. Our stay was enjoyable with plenty of area to relax in, ample beds available, great shower with lovely hot water and a fully equipped kitchen which would certainly be utilised for a longer stay. We forgot sheets and towels (must have missed this is description) but had extra blankets so worked around this. We would thoroughly recommend staying here and hope to come back for a longer stay soon. Thank you for having us!! Thank you and I am glad you enjoyed your time in Stansbury and our property, sorry about the linen we can supply it if required or if it has been missed. Thank you for letting me know about the leaking back tap all fixed now, look forward to having you and your family returning. Great area, great price, great everything! Second time here, love it! Has everything you need, plus a short walk to anything. Highly recommend, we'll definitely go again. Thanks Quinnton glad you enjoyed, it would be a pleasure to have you back have a lovely day.